A summer kids’ event called Roar VBS will be hosted at St. Ignatius Martyr Catholic Church from Monday June 10th to Friday June 14th. Each day concludes with the Safari Celebration that gets everyone involved in living what they’ve learned. Family members and friends are encouraged to join in daily for this special time at 11:40 a.m. Kids at Roar VBS will join a mission effort to provide nutrition packets and health checkups for moms and babies in need in Zambia, Africa. Roar is for kids entering 1st grade thru 6th grade and will run from 8:30 a.m. to 12:00 p.m. each day. The fee is $50 per student, includes t-shirt, snacks and materials. 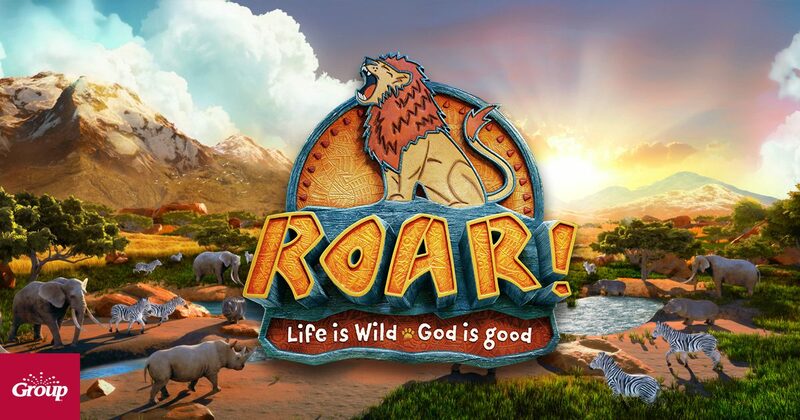 You can register by clicking the VBS document below and emailing it to rbejar@st-ignatius.org or by completing the ROAR Life is Wild-God is Good VBS Registration Form below and click submit. Name of Parent(s) REQUIRED Please fill out this field. Please enter valid data. City, State and Zip Code Please enter valid data. Home / Cell Phone Number REQUIRED Please fill out this field. Please enter valid data. Parent/Caregiver Cellphone Number REQUIRED Please fill out this field. Please enter valid data. Home E-mail Address Please enter valid data. In Case of Emergency Contact: REQUIRED Please fill out this field. Please enter valid data.